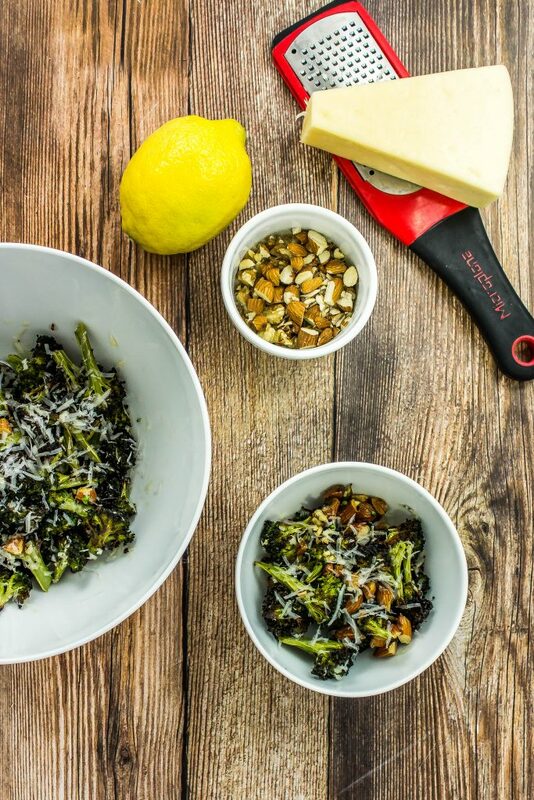 Parmesan Roasted Broccoli is broccoli & almonds roasted with lemon juice topped with shredded cheese is delicious with every bite! Weight Watchers friendly- 3 SmartPoints! Roasting vegetables is my favorite way to eat vegetables, especially veggies I don’t typically like to eat raw. Another reason I like to roast vegetables is because they are super versatile. 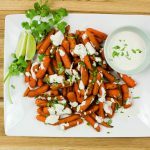 You can add a few different ingredients and transform any vegetable into a Mexican inspired side dish, or an Italian inspired side dish. One of my favorite roasted veggies is broccoli. My Parmesan Roasted Broccoli is the best way to eat roasted broccoli. Delicious broccoli and almonds roasted to perfection with lemon juice and topped with shredded Parmesan cheese is delicious with every bite! 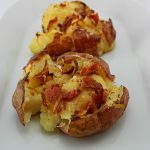 This is a Weight Watchers friendly recipe and each serving is 3 SmartPoints. I am always looking for different ways to roast the same vegetable by changing up the ingredients just a bit. This is what I love about vegetables… they are a blank canvas and can be transformed into so many different recipes. This is also what I love about cooking in general. I’m in my happy place when I’m in the kitchen experimenting away and creating something new. Even if that experiment doesn’t work, it’s still fun to play with food! There are some vegetables that I really don’t care for raw and broccoli is one of those vegetables. I don’t know why, I’m just not a huge fan of raw broccoli. Broccoli has so many good nutrients for you, so the only way I will eat it is roasted. What I love about this recipe is that it’s so easy to follow and ready in under 30 minutes. Just cut the broccoli into florets and add to a large bowl. To the bowl, add olive oil, salt, pepper, garlic, and red pepper flakes. Mix well then spread onto a parchment lined baking sheet and roast for 12 minutes. Remove the roasted broccoli from the oven and sprinkle chopped almonds on top. Toss then roast for another 12 minutes. Remove broccoli from the oven and add to a large bowl. To the bowl, add fresh lemon juice and shredded Parmesan cheese. 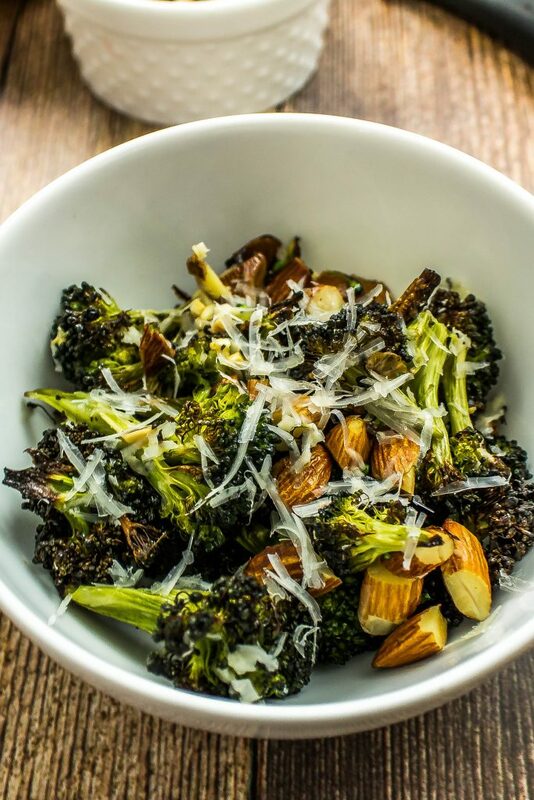 Parmesan Roasted Broccoli is the best way to eat roasted broccoli. 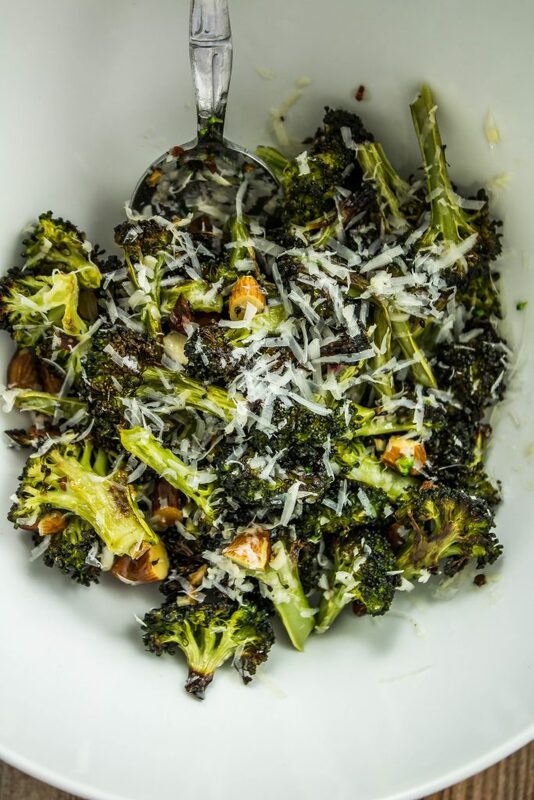 Delicious broccoli and almonds roasted to perfection with lemon juice and topped with shredded parmesan cheese is delicious with every bite! I could literally eat the whole batch because it’s addictive! This would be great as a side dish for any main meal. Only 3 Weight Watchers SmartPoints per serving! 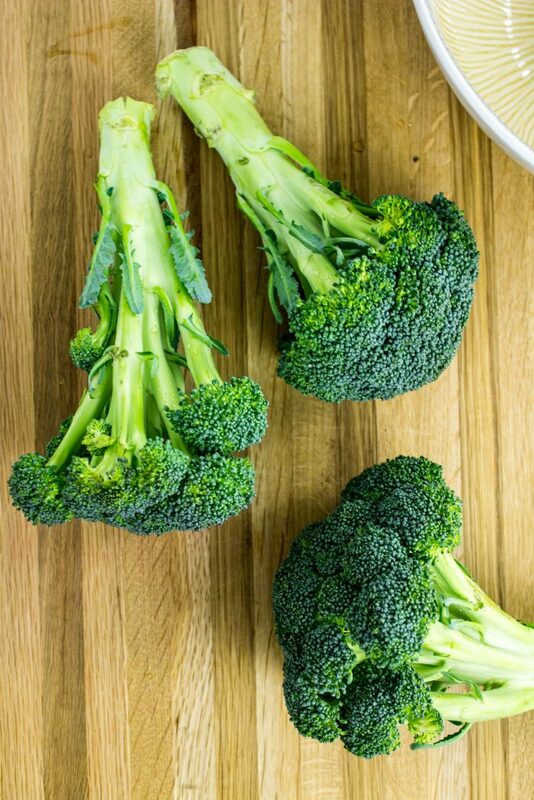 Cut broccoli into florets and add to a large bowl. To the bowl, add olive oil, salt, pepper, garlic, and red pepper flakes. Mix well. Line baking sheet with parchment paper and spread broccoli onto sheet in an even layer. Remove broccoli from the oven and toss. 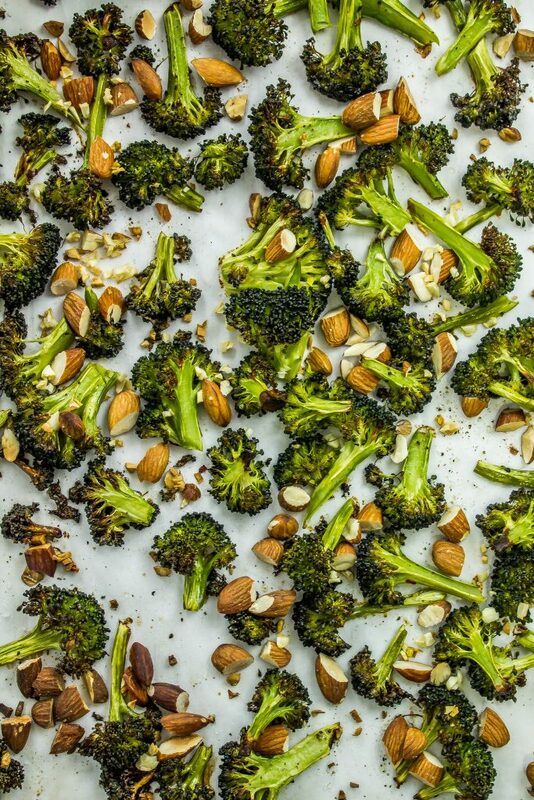 Sprinkle almonds on top of the broccoli and season with salt and pepper. 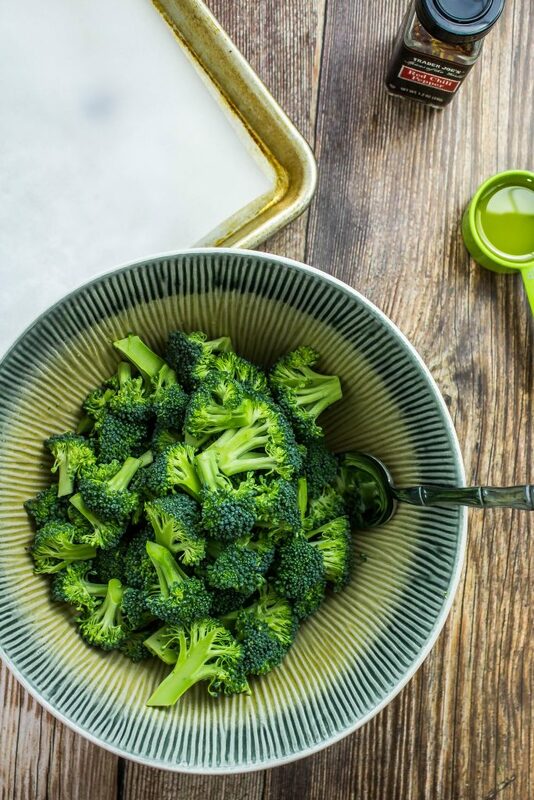 Remove broccoli from the oven and add back to the large bowl. Add lemon juice and parmesan cheese. Mix well. June 26, 2017 at 9:31 am Oh yeah, you should definitely try this recipe then! Thanks Danielle! June 22, 2017 at 2:00 pm I am heading out to grocery shop, printed this recipe and I have to try it tonight! Thank you for sharing this. June 26, 2017 at 9:30 am Oh great Lisa!! I hope you like it! 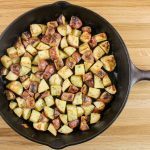 June 26, 2017 at 9:30 am The almonds add a nice crunch and flavor! Thanks Kristen! June 26, 2017 at 9:29 am I love it burnt too Harmony! June 26, 2017 at 9:29 am Thanks so much Kristen! 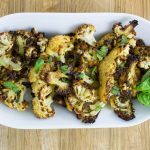 July 13, 2017 at 10:15 am I love roasting veggies in the summer too! Thank you Lynn :)!